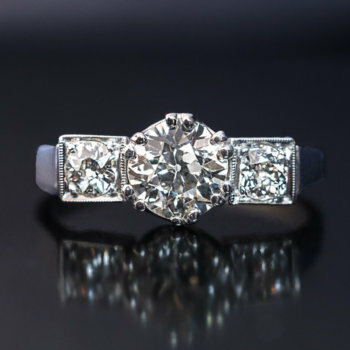 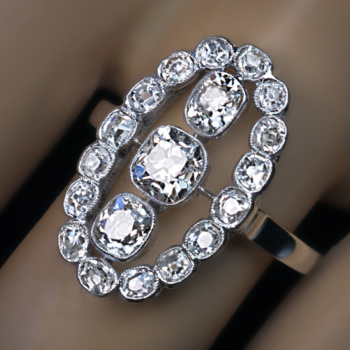 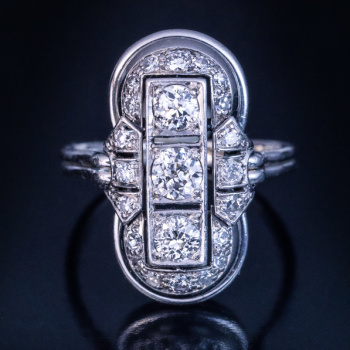 This vintage, circa 1930, three stone engagement ring is handcrafted in platinum. 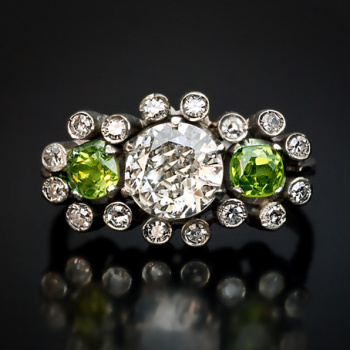 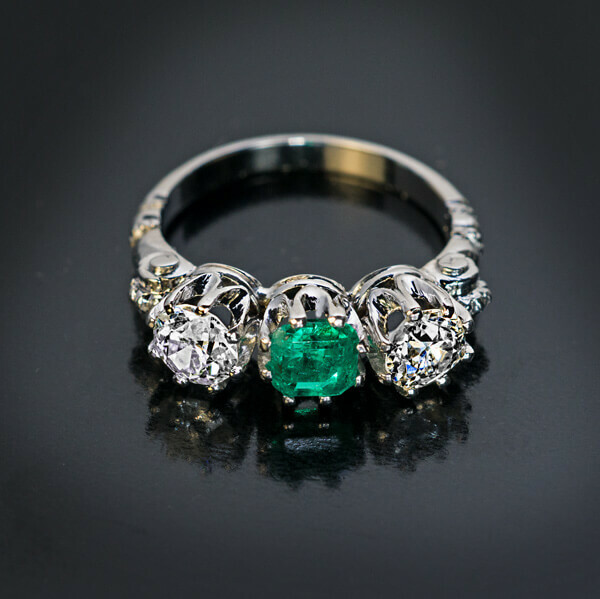 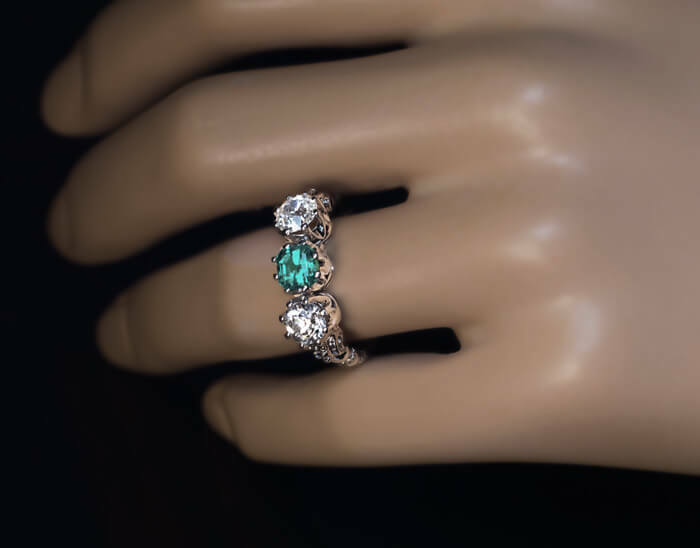 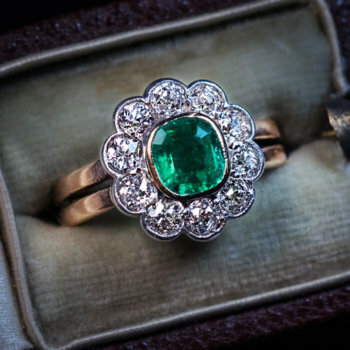 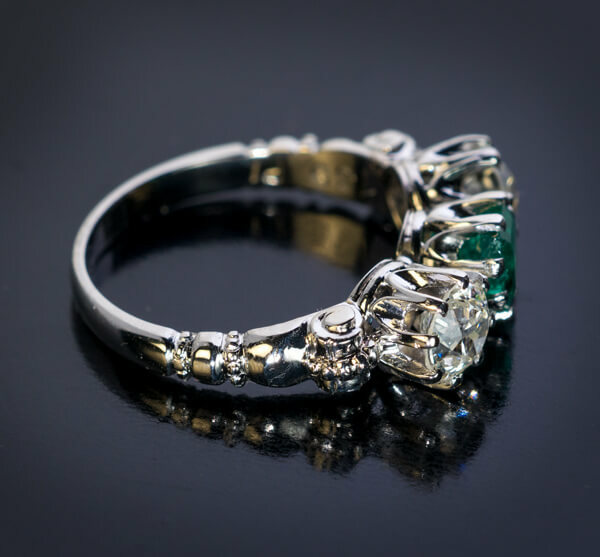 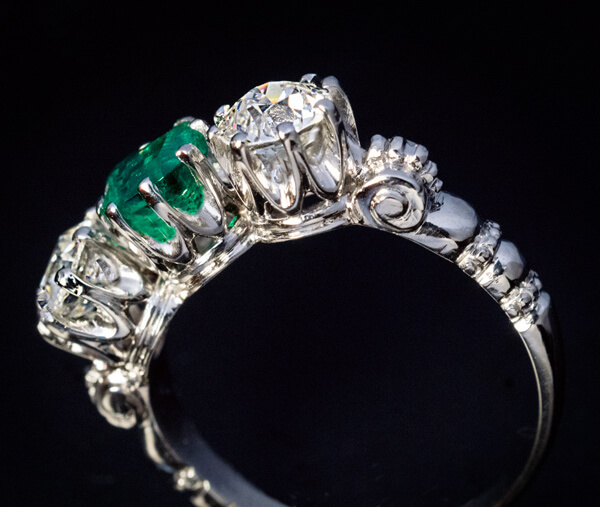 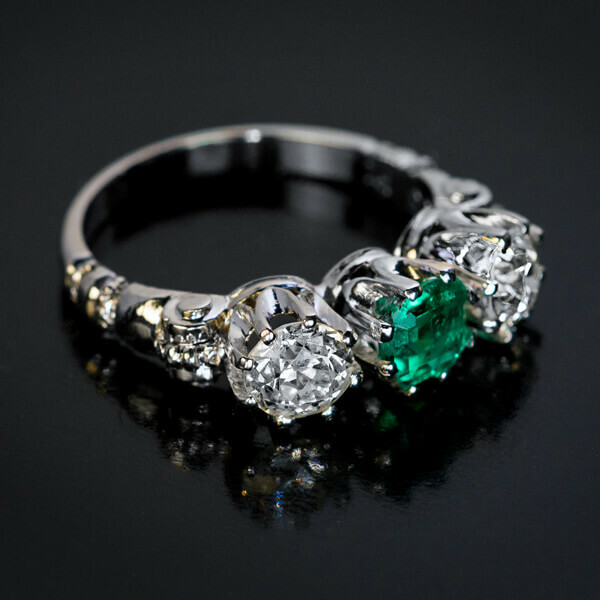 The ring is centered with a square natural emerald of a vivid bluish green color flanked by two sparkling bright white old European cut diamonds (G-H color, VS2/SI2 clarity). 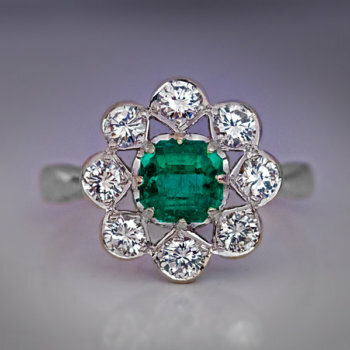 The emerald measures 5.09 x 5.13 x 3.85 mm and is approximately 0.70 ct. 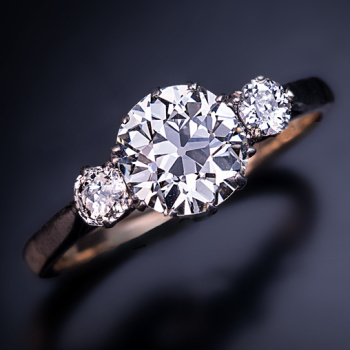 The diamonds measure 5.21-5.40 x 3.40 mm, approximately 0.69 ct, and 5.49 – 5.40 x 3.30 mm, approximately 0.66 ct. 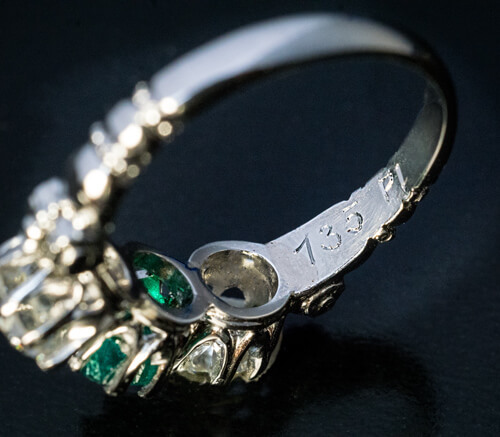 The ring is engraved by maker inside the shank with the total diamond weight ‘135’ (1.35 ct) and ‘Pl’ for platinum.